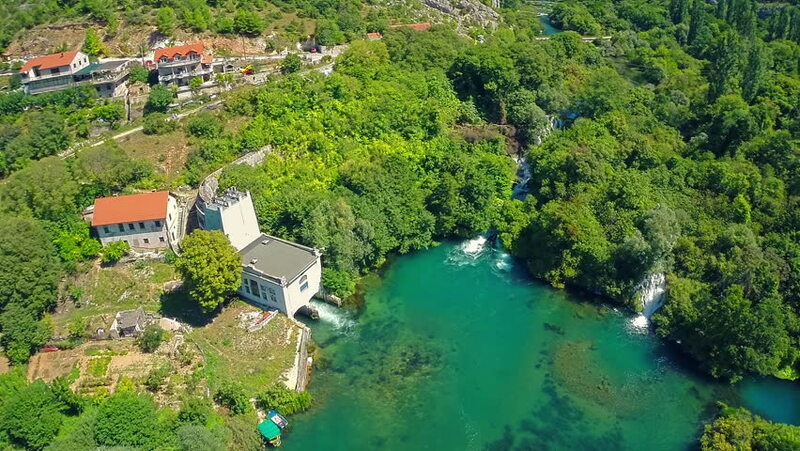 hd00:18Copter aerial view of the old Hydroelectric Power Plant on river Krka, National Park of Croatia. It was built in 1910. 4k00:07Land for sale in Montenegro. Hotel by the sea. The town of Prcanj in the Bay of Kotor. Property on the sea. Uninhabited land. Montenegro. Aerial photography.